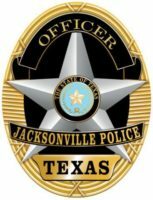 JACKSONVILLE — Jacksonville police are looking into an officer-involved shooting of a German shepherd. Police say the incident was prompted by an illegal fireworks call July 4 on Heath Lane. According to a brief police statement, a departmental administrative inquiry was opened in accordance with standard procedure. A news conference has been scheduled for Friday at 11:00 a.m. in city council chambers.